Why Bantou Jiao-Zhi Pottery Village is special ? Bantou Village (板頭社區), located in Southern Taiwan, Chiayi County, is the cutest village and is filled with the Jiao Zhi (Koji) Pottery art. It is one of the places where you can enjoy fresh air with a rural feeling. 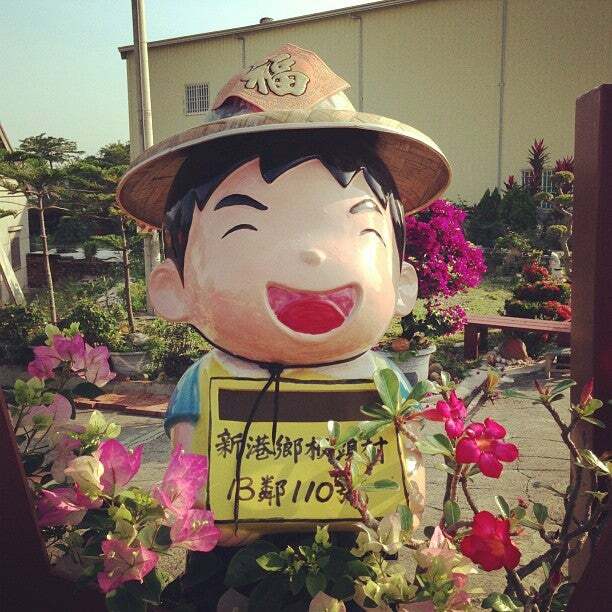 It’s also a great place to enjoy the JiaoZhi artwork offering visitors surprises in every corner of the village. In the village, more than 60 craftsmen have been making Koji Pottery for more than two decades. It is said that 70% of Koji Pottery is made inside the town in its heyday. However, since the pace of building new temples has slowed down, and because the government hopes to market small villages with their own features and stories, Xingang Bantou Village is developed along with the community. What to explore at Bantou Jiao-Zhi Pottery Village? Now visitors can see Jiao Zhi Pottery mosaics decorate streets and walls. 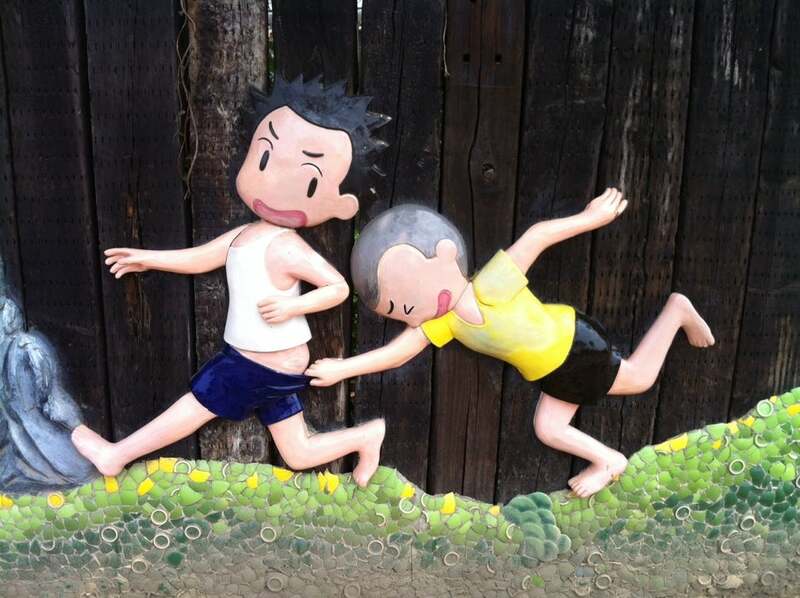 Along the road between the old rail and the field, visitors can see sculpture of oxen pulling carts, a bench with a painting of an old man and a lady on it, as well as artistic mosaic-made screens in the frames of old TVs. On the wall, there are also artistic creations remembering the lives in the former agricultural village. Besides, old-fashioned bicycles and farm tools surrounding the old Taiwan Sugar Train Station help to understand the past of the village. 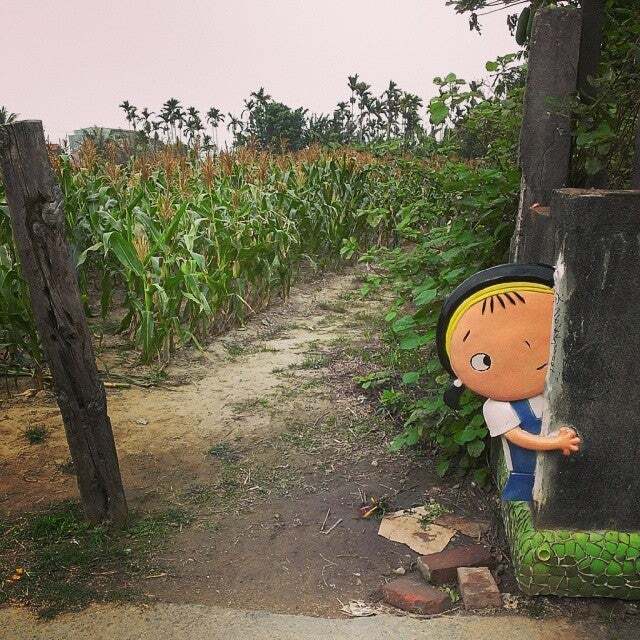 Although the scorching sun in summer may lower people's willingness to explore the village, visitors are sure to discover the small surprises hidden in the village in a patient stroll. 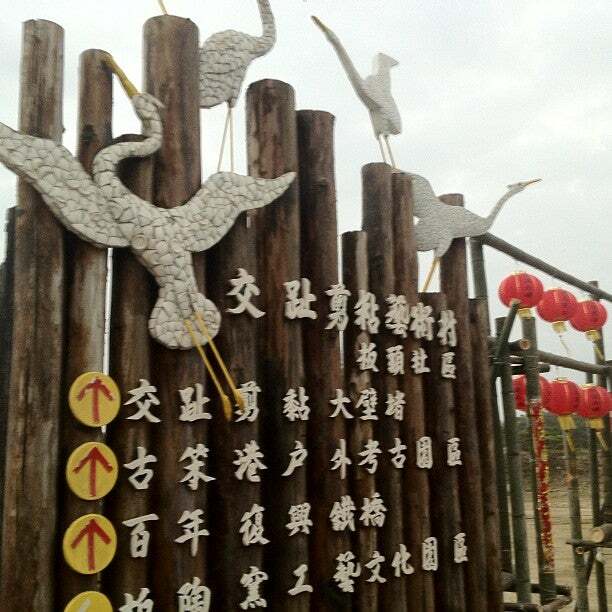 How to get to Bantou Jiao-Zhi Pottery Village? 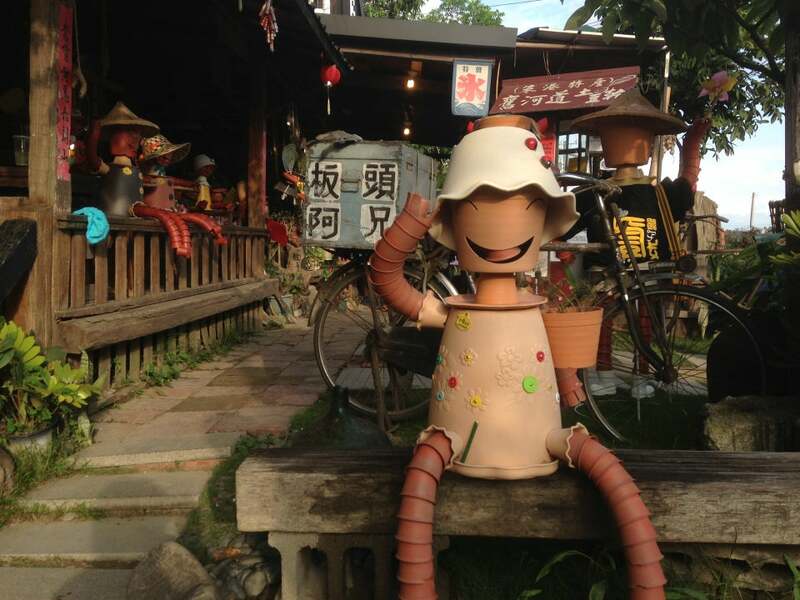 From Chiayi Station, you can take bus 7201 to Bantou Jiao-Zhi Pottery Village. The journey takes you more than 1.5hours depending on traffic. Walking is the best way to see the whole village although it is about an hour and half walk. However, an alternative is to take the car-train which imitates the original “Wufenzhi train” look. You can receive a map at the Bantouyao, and check out each point of interest in town. The museum in this village has DIY workshops to create your own works. The largest art wall piece is the Large Melia Azedarach Tree (大苦楝樹), also known as Chinaberry tree. The location of this village is far away from the sea that makes hot summer and cold winter. Another point of interest in this village is the 100-year-old Wufen Railroad. It is also known as “Wufenzhi Railroad”. Our driver/guide strongly recommended this location to me before we reached Taiwan, and I was not disappointed. We enjoyed walking around this countryside on a nice sunny day. There are bicycles which you can rent for a small fee, but we decided to walk instead. Everywhere you go, there are cute ceramic art pieces - the walls, the chairs, or any random statue. It made me felt like I was walking in a cartoon world. According to our guide, there are many artists living in this quiet village, and these are all works of of theirs. 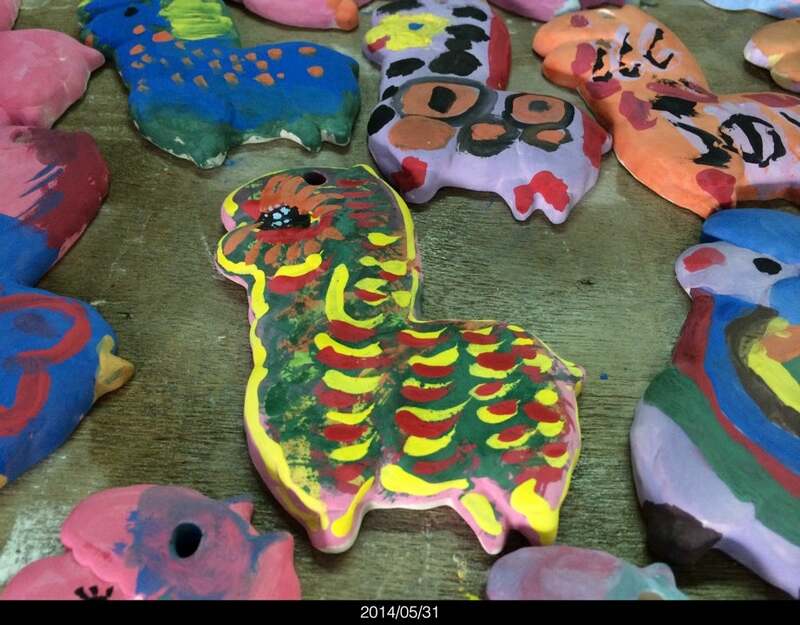 At this pottery studio, Ban Tou Yao （板头窑), kids can select a pottery that they like and color on it at a fee. We had our lunch here and spent about 3 hours in this village. There are a lot of photography opportunities.